Out of all exoskeleton companies, few can match the experience of Ekso Bionics. 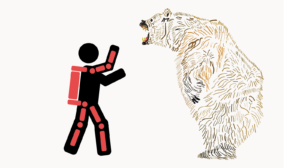 Originally Berkeley Bionics, over the last decade this company has worked on almost every type of exoskeleton imaginable: civilian, military, industrial, powered, passive, soft, full body, lower extremities. Some see the breath of experience of Ekso Bionics as a weakness however, because it could seem that the company is dabbling in all kinds of possible projects without concentrating or mastering anything. Ekso Bionics had to almost close its doors in 2013, but in 2014-2015 they secured more funding as well as several government contracts. Burdening the company stock, one of the founders of Berkeley Bionics, Homayoon Kazerooni, left Ekso Bionics to create a new, competitor company, US Bionics. 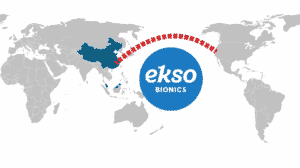 In 2015, Ekso Bionics closely resembles the older exoskeleton startups such as: ReWalk Robotics, Rex Bionics and Cyberdyne. My husband suffered a stroke this year which leaves him unable to walk as he could not move his left leg, arm and shoulder. He has the potential to walk. He is in a skilled nursing in Sta Barbara, Caif. Cottage Rehab has the EKSO GT robotic skeleton in their facility. I would like to know if he can be in this program on a free clinical trail as we don’t have much money. Thank you! Hello, Nelly, A good starting point would be ClinicalTrials.gov However, I can’t find any trials with an Ekso GT near Santa Barbara. Another option that you have is to contact the Ekso Bionics team from their website and ask them if perhaps Cottage Rehab is participating in any studies as a satellite site? I hope that your husband recovers quickly and regains his mobility!